Apple quickly released the iOS 6.1.2 update today to address a few lingering bugs in the OS, but luckily, the jailbreak wasn’t patched. However, the Evad3rs team worked around the clock to update the Evasi0n desktop tools and we are now glad to say that iOS 6.1.2 can be jailbroken fully untethered using the latest version of Evasi0n, which is v1.4. All iOS devices that are able to run iOS 6.0 through 6.1.2 are supported, including the 5th-gen iPhone. The only exception is the recently released Apple TV 3, which cannot be jailbroken at the moment. While jailbreaking generally does not cause any harm to your device or the installed software, it is always prudent to back up your device using iTunes or iCloud before proceeding. Instructions for jailbreaking your device using Evasi0n are exactly same as before. If you have used Evasi0n to jailbreak iOS 6 or jailbreak iOS 6.1 in the recent past, then jailbreaking 6.1.2 shouldn’t be a problem. Step by step instructions are as follows. Step 1: Update your device to iOS 6.1.2 using iTunes (download iOS 6.1.2 from here): if you are jailbreaking your device, why not update it to the latest version of iOS? OTA updates might mess with the jailbreak, therefore a fresh restore via iTunes is strongly recommended. Step 2: Turn off Passcode Lock in case you have it enabled. In order to do this, simply head on over to Settings > General > Passcode Lock > Off. Step 4: Start up Evasi0n on your computer and simply click on the “Jailbreak” option. Kick back or grab a cup of coffee as Evasi0n does its work and jailbreaks your device. Remember not to touch anything while your device is being jailbroken. Step 5: Once this is done, your device should boot straight back. You will see a new Jailbreak icon on your home screen. Tap on it in order to finish the process. Step 6: Your device will now reboot quite a few times for a short while, before it boots into the jailbroken state. Once this is finally done, your device should boot back in a jailbroken state. 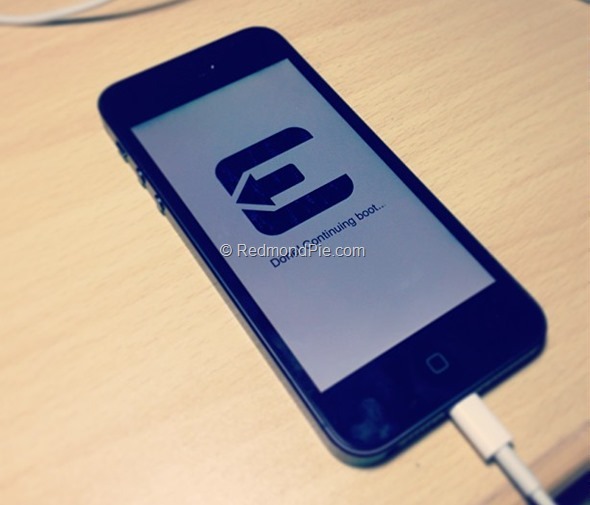 You are done: if everything has gone as expected, Evasi0n should indicate that the jailbreak is complete. Cydia should now also be on your home screen.